Although I’d like to believe we live in a world where every friend, family member, and deeply surprised Linkedin connection can open the same Death Star ice cube maker with comparable amounts of glee, in truth buying presents can take some research. 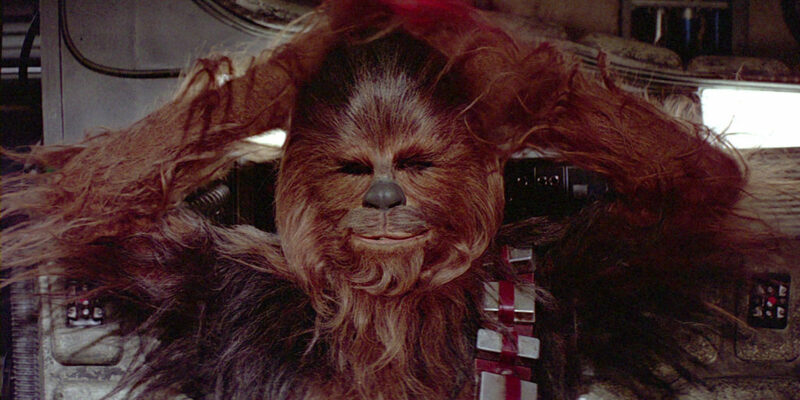 Don’t worry, I’ve put together a nearly flawless guide of comic book gifts for 2015. I mean, it includes all of my favorite comics, what could go wrong? 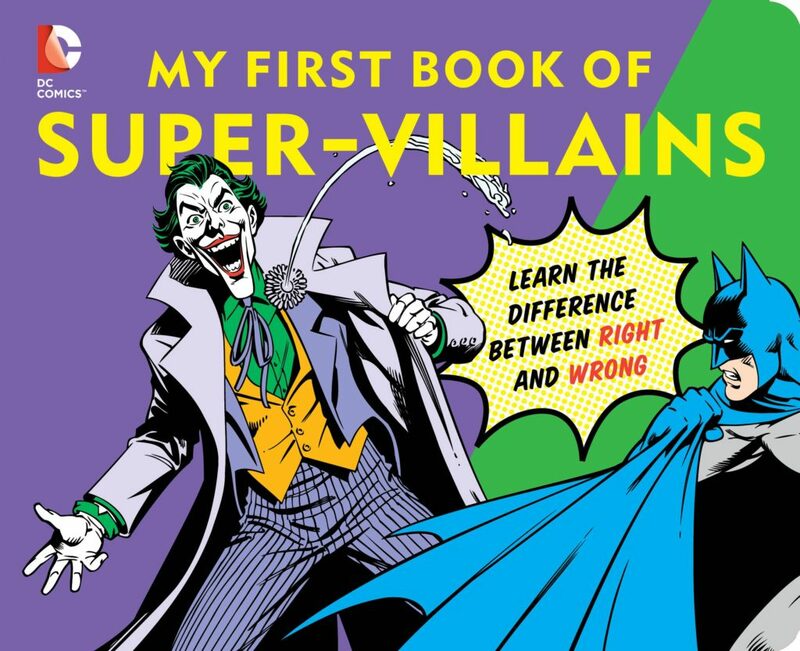 Checkout the adorable little “My First Book of Super-Villains” read-a-long from Downtown Bookworks. I can’t speak with any confidence about the lifelong implications of introducing a child to a Joker in the crib, but I can assure you this would definitely be my approach to teaching right and wrong. If you like what you see here, you can find additional books from Downtown Bookwords such as My First Book of Girl Power , or Even Super Heroes Sleep . Also, I’d be remiss if I didn’t encourage you to consider a super hero nursery. It’s not like it would guarantee you’d have the coolest baby in the world or anything. I would strongly encourage you to check out the best all ages comics for kids! Check out Dave’s Faves, a list of all the best comics I’ve ever read. There’s just about guaranteed to be a great comic here your friend / family member / completely bewildered former PE teacher will enjoy. NOTE! If your holiday pal is reallllllly into comics and you have no idea what they’ve read I recommend two approaches. Bingo. Check one off the list. Rinse and repeat. 2) The second option is to simply get your holiday pal an Amazon or Comixology gift card. This way they can check out Dave’s Faves and decide what to read for themselves (just try to make sure it isn’t Wanted ). It’s one thing to put a Batman poster on your wall, it’s another thing entirely to frame a limited edition Avengers lithograph by Bryan Hitch and Paul Neary. 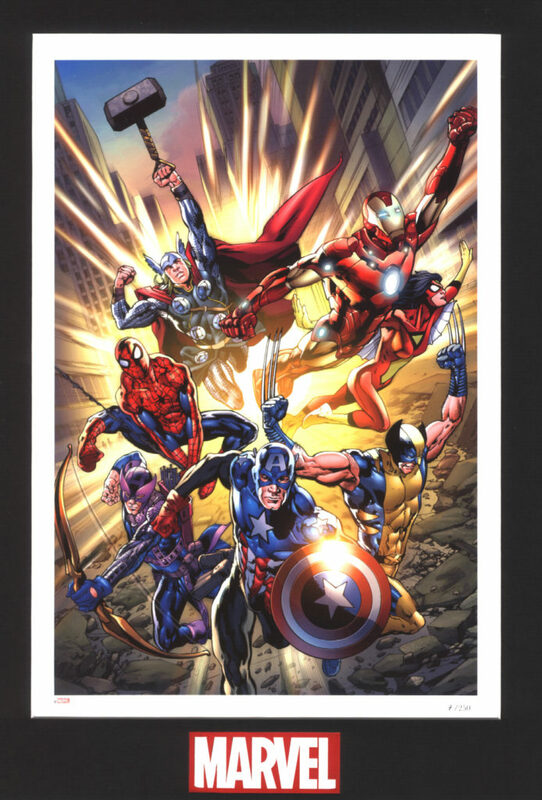 Choice Collectibles offers some really cool jumbo-sized comic book covers, including the Avengers art entitled “Fearless” above. While many of you are likely familiar with Bryan Hitch’s work on The Ultimates , it’s exciting to see his take on the Bendis era New Avengers as they launch into battle. Choice Collectibles has a pretty extensive partnership with Marvel, so if you’re into rare art, check them out. Alternatively, if you like the piece above, join the Comic Book Herald reading club for a chance to win in 2016! If your holiday pal likes both technology and comic books, you’ll definitely want to check out my guide on the best tablets for comic book reading. Reading digital comics without a tablet is like eating mashed potatoes without butter. Sure you’ll survive, but what’s the point? Check out Nerd Prom Comics or Your Comic Story for making your own custom comic books and posters. 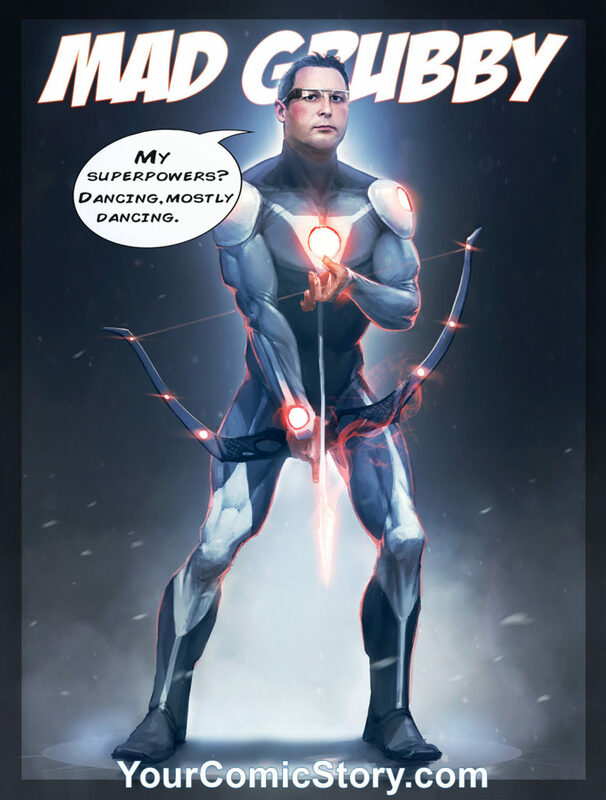 This has that potentially personalized feel to it, plus who doesn’t love to see themselves in super hero tights? The Marvel Chess Collection. I have one, and it’s now the only way I’ll play chess. Black Panther to Electro 4 (I don’t know a lot about Chess talk)! Marvel Unlimited. Come on. It’s 2015. This is probably my favorite gift idea for the year (hint, hint). It’s The Comic Book Story of Beer. So what are you looking for, or planning on getting this year? Do what feels right to you in the comments. And finally, if you’d like to see what Comic Book Herald wants for Christmas, you can check out our support page.